House prices in Mansfield increased by 1.8 per cent in January, contributing to a 7.6 per cent overall rise over the last 12 months. By contrast, prices in Ashfield declined slightly by 0.9 per cent, despite witnessing a 4.5 per cent rise in the last year. 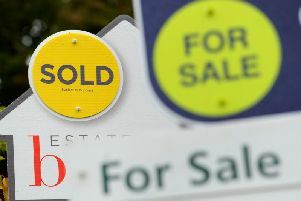 House prices are also down in neighbouring Newark & Sherwood where values have fallen by 0.5 per cent. The latest data from the Office of National Statistics (ONS) shows that the average property in Mansfield sold for £136,358 – significantly lower than the UK average of £228,147. The average property in Ashfield sold for £140,929 while in Newark & Sherwood it was £185,333. The average homeowner in Newark & Sherwood will have seen their property jump in value by around £41,000 in the last five years. Ashfield residents have seen an average increase of £34,000 to their properties while the figure for Mansfield is £29,000. Between December 2017 and November last year, the most recent 12 months for which sales volume data is available,1,748 homes were sold in Mansfield - one per cent fewer than in the previous year, 2,011 homes were sold in Ashfield - 15 per cent fewer than in the previous year, and 2,036 homes were sold in Newark & Sherwood - eight per cent fewer than in the previous year.